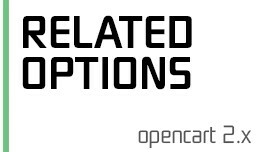 Related Options PRO it's an improved version of Related Options module. It allows to set many variants of combinations of related options per product. The module allows to create sets of related product options. This functionality can be usef.. The module allows to show/hide child options (option groups) depending on selected values of parent options. Main features of the module: use options of any type as child options ("Select", "Radio", "Image", "Checkbox", "Text", "Date", etc) .. The module allows to show/hide child product options (option groups) depending on selected values of their parent options. Main features of the module: show/hide child options of any type ("Select", "Radio", "Checkbox", "Text", "Date", etc.).. 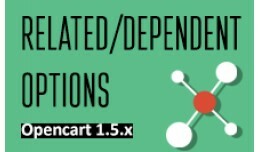 Module "Dependent / Related Options" v1.3.7 History of changes: v.1.3.7 - Options are displayed at out-of-stock products. v.1.3.6 - Bug with decimels .00 for options was fixed. v1.3.4 Bug with options with negative price was fixed. v1.3.1..
Module "Dependent / Related Options" Module is designed to set related-to-option values for goods (eg. colour and size). Thus it gives a way to account goods on stock depending on option combinations. 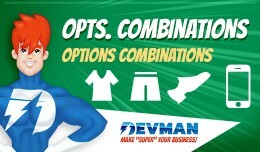 Option combinations also can have differe.. DEPENDENT OPTIONS Dependent Options enables you to show certain choices or alternative qualities reliant on the parent choices options. 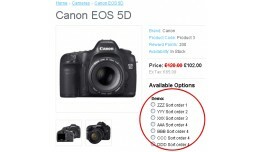 This enables you to have the capacity to set diverse contingent alternative qualities for your item depe..
Fed up of options appearing in an apparently random order, or had enough of trying to keep track of the sort order of all your options? This simple VQMod sorts your product options and sequences them in "sort order" and then alphabetically in..
Module is designed to set related-to-option values for goods (eg. colour and size). Thus it gives a way to account goods on stock depending on option combinations. Option combinations also can have different prices. Fields "Parent option" and..
Module is designed to set related-to-option values for goods (eg. colour and size). Thus it gives a way to account goods on stock depending on option combinations. 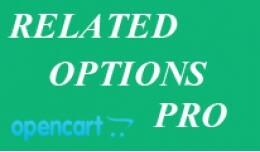 Option combinations also can have different prices. The main difference with our.. 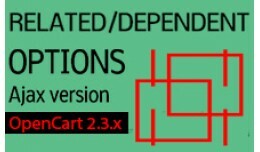 Dependent / Related Options for Opencart 2.3.x A.. 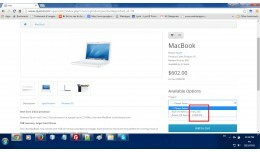 This simple VQMod sorts your product options alphabetically in the product pages. This extension makes use of VQMod, so no core files are directly affected. IMPORTANT. This Extension requires that you have VQMod installed. If VQMod is n.. 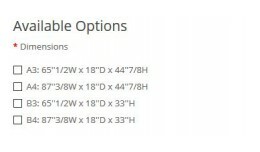 Display options ordered (sorted) alphabetically ..
Module creates a separate view options. This will be useful if you have the goods in the store in which several options, such as clothing sizes. The buyer can immediately specify how many units of different size it needs without making a separ.. The module allows to create combinations of related product options and set stock, price, model etc for each combination. 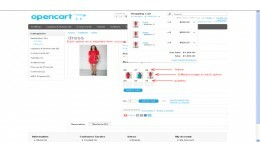 This functionality can be useful for sales of products, having interlinked options, such as size and color for clothes. ..
if you want to show quantity of options individually then you are at right place. its a vqmod extension demo http://www.dyisol.com/opencart21/index.php?route=product/product∏uct_id=30 support and installation is free. you can em.. The module allows to create combinations of related product options. This functionality can be useful for sales of products with interlinked (dependent/related) options, such as size and color for clothes. Main features of the module: uses s..